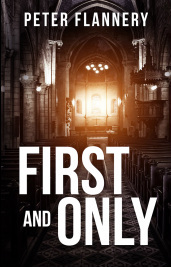 First and Only is a psychological thriller that pits friendship and faith against evil and fear. It's a fast paced, nail biting thriller with a small cast of likeable characters and a truly nasty villain. It tells the story of Psimon, the world’s first true psychic, and a deranged psychopath known only as Lucifer. They first meet when Psimon is just a boy. On that occasion Psimon was lucky enough to get away but soon they will meet again and this time there will be no escape. This is my first published book; it is not the first book I ever wrote. The first full length novel I completed is called Dark Soul, which is currently in the process of being re-written. using Amazon's 'Look Inside' feature. For those who have already bought a copy my sincere thanks. Do you believe in psychics? read people’s thoughts and move things with their mind? Psimon is just such a man, a real and genuine psychic, but in five days time he is going to die at the hands of a serial killer known as Lucifer. His only hope is to enlist the help of Steve Brennus a former soldier whose family life and business have just collapsed in ruins. 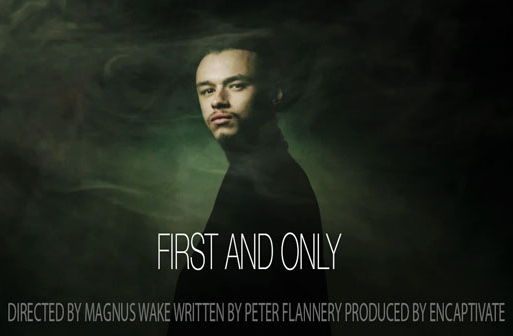 Together they must reveal Psimon’s abilities to the world while trying to evade those who would seek to control him. And all the while the shadow of Lucifer draws closer. Can anything overcome the visions of the world’s first psychic? The 1 Million Dollar Paranormal Challenge is a genuine prize offered by the James Randi Educational Foundation. It offers $1,000,000 to anyone who can provide evidence of paranormal or supernatural abilities. First introduced in 1964 there have been more than 1000 applications, but as yet no one has got through even the preliminary stage of testing (with the possible exception of a 'mind reading computer' created by a man called Seth Raphael! Read more here. 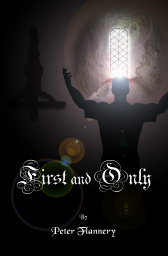 For this first cover I used an old photograph of a keyhole window and another of an ordinary old crucifix. I looked on 123RF and Shutterstock for pictures of a man who looked like he might be in supplication to his dark gods but I couldn't find anything suitable, so I went into the back garden of my house, wearing a short-sleeved shirt and a Nemo towel, to represent a cassock and cotta. Then, checking nervously for any watching neighbours, I set up the camera and struck my best 'supplication pose'! In photoshop I turned the picture of me into a silhouette then combined the three images to make it look like the interior of some dark church. Unfortunately I looked far too thin and weedy to pass for Lucifer so I bulked up my neck and muscles to make me look more buff! A couple of lighting effects and the ubiquitous lens flare and it was done. Was it a good cover? Well... no, it wasn't but I couldn't afford to have one done professionally and I thought it was just about good enough. ps. If anyone would like to see the original picture of me posing in my Nemo towel then drop me a line on the contact page and I might add it to the site, although I must warn you... the image does show a rather alarming bald patch!